Hanoi (VNA) – The World Bank released its report on the aging population in the East Asia and Pacific region on March 28. Speaking at the event in Hanoi, World Bank Country Director in Vietnam Victoria Kwakwa stressed that aging population is one of issues drawing attention in the region. This is the time for regional countries, including Vietnam, to coordinate and share experiences to deal with the situation, she said. Philip O’Keefe, lead author of the report “Live long and Prosper: Aging in East Asia and Pacific” presented his study’s outcomes of living conditions of the elderly in Vietnam as well as a policy system relating to labour market, pension and healthcare. 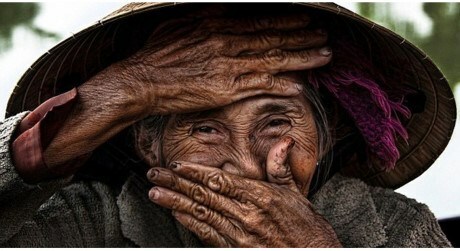 Vietnam was listed among countries with an aging population in 2015. The number of people over 65 in Vietnam is forecast to increase from 6.3 million to 18 million by 2040, accounting for 18 percent of its population. According to the report, 36 percent of the world’s population ages 65 and over, or 211 million people, live in East Asia, the largest share among all regions. The rapid pace and sheer scale of aging in East Asia raises policy challenges, economic and fiscal pressures, and social risks. Rapid aging in East Asia is partly a result of the region’s breakneck pace of economic development in recent decades, the report says. Higher incomes and better education have led to steady increases in life expectancy, and have been accompanied by sharp declines in fertility rates, with a growing number of countries now well below replacement levels.